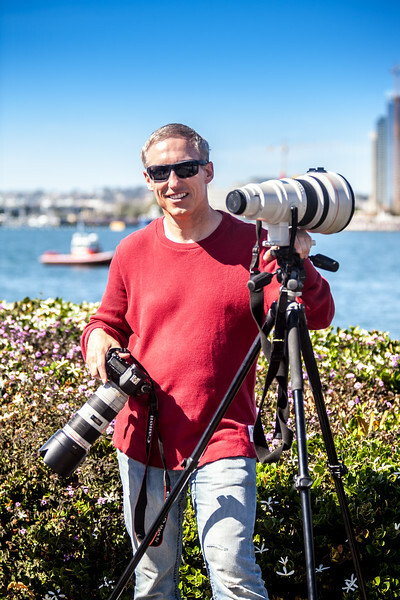 Victor Goodpasture Photography is one of San Diego’s top commercial, corporate and event photographers. Victor has been serving the San Diego, Orange County and Los Angeles corporate and hospitality communities for more than 20 years. His work includes convention, conference and trade show photography as well as corporate events, head shot stations and commercial photography. His company ProDigital is one of the longest, continuously operating photo booth companies in Southern California. Started in 1998, ProDigital has handled hundreds of on-site printing events where guests receive a beautiful 5x7 print in less than a minute and a gorgeous 8x10 print in about 2 minutes. He's also one of the few photographers in the region that does greenscreen photography. Victor is also very active in the San Diego hospitality community. He's an active member of Meeting Professionals International (MPI), HSMAI and the San Diego Tourism Authority (SDTA). While Victor does not actively seek awards, he has been recognized for his photography and work for MPI. And if that wasn't enough, Victor does aerial photography, industrial photography and yes, even time lapse photography. The bottom line is if it involves photography, Victor can do it. He encourages you to browse his web site and see the quality of his work. Here is a quote that best describes his passion for photography.